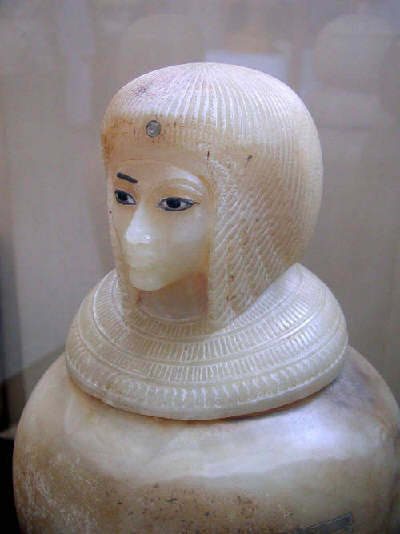 The lid of one of four canopic jars found in tomb No.55 in the Valley of the Kings. It may originally have been made for Kiya. It dates from the Amarna period. Egyptian Museum, Cairo, Egypt. 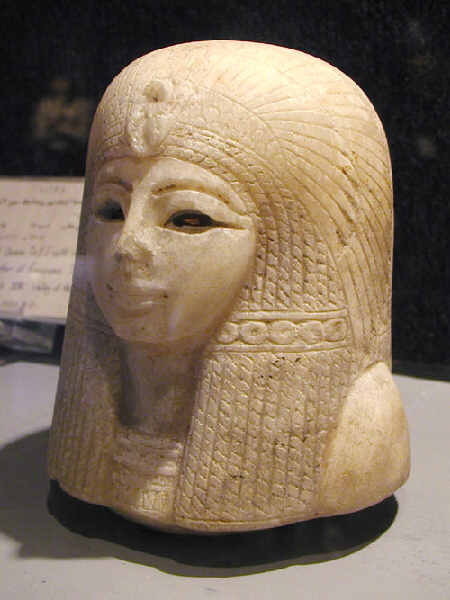 Canopic jar head of Queen Tuyi. From the time of Seti I. Luxor Museum, Luxor, Egypt. 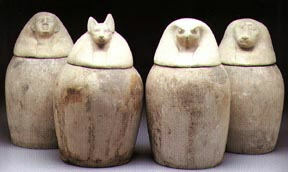 Set of Canopic Jars, Dynasty 26 ( 664 - 525 b.c.) Limestone, University of Pennsylvania Museum. 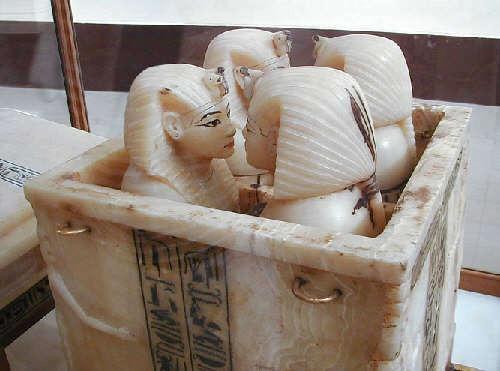 Alabaster canopic jars that contained Tut's internal organs. Egyptian Museum, Cairo, Egypt.